One of my favorite things to do lately is declutter. Take our kitchen cupboards, for example. We had SO many cups and mugs in there. There’s only two of us, and even when we have company over, we never use everything. I got rid of 6 plain mugs and kept 6 which is plenty should the need for coffee arise when we have guests (which happens almost never). I also got rid of a bunch of plastic cups we never used. Now when I open the cabinet it doesn’t look overcrowded. I like it so much sometimes I just leave the cabinet open longer than usual and admire how clutter-free it is. Me, weird? No. We keep coffee, teas, and drink mixes in the adjacent cabinet so to keep it from overflowing I made a vow not to buy any more products until the stuff we have is gone or nearly gone. In fact, I’ve made the same vow for all our personal care products as well. Considering how we’ve stocked up during past sales, it will be awhile before we need to purchase anything new other than food. Over the weekend I went through the items stored under the bed and got rid of two old bathroom rugs whose rubber backing had started to dry rot, an old shower curtain that had yellowed, and a bed skirt from an old set we no longer use. That left me with an entirely empty under the bed storage container which I repurposed with items I had stored under my desk that I only need occasionally. I shifted some things from on the desk to under it since I had the space; now the entire area looks more streamlined. I also finally got around to throwing out the decorative pillows that came with our couch. We had replaced them last year but held onto the old pillows “just in case”. In case of what, exactly? Who knows! They are old, out of shape, and have never been laundered because they weren’t designed to be, so they no longer served a purpose. Into the trash they went. What a freeing feeling! This weekend we plan to tackle the garage. We’ve tried to keep it decent, and to an extent it isn’t horrible – we can still fit both our cars in there after all – but it’s looking very disorganized. Joe’s side has seen better days with stuff piled on top his work bench, and I want to go through all my home/holiday decor bins and donate the stuff I never use, plus reorganize the Christmas stuff. It was too cold after the holiday to really keep things grouped in their proper totes so it’s disorganized at the moment. Now that the weather is FINALLY warming up it’s the perfect time to tackle that chore. I’m actually looking forward to it. We all have them in the house – appliances. And sooner or later they’re going to break. It’s the nature of the beast because they endure nothing but work: washing your clothes, keeping your food cold/frozen, drying your clothes, and cleaning your dishes. It’s a thankless job really. At first you barely notice that your clothes are taking longer to dry. Then one day the dryer fails to heat up at all. A decision must be made – do you call someone to fix it, attempt to fix it yourself, or go out and buy a replacement? I prefer to attempt to fix it first before entertaining any other options. Now, there’s many respected appliance repair businesses out there if you’re not much for getting your hands dirty but, if you’re even just a little handy and don’t mind “getting in there”, you can not only do many repairs for a fraction the cost, but walk away with a sense of accomplishment. I’ve been… ummm… lucky (?) to have gone through a few appliance repairs since becoming a home owner. The latest repair was on our gas dryer. It started with our clothes not coming out entirely dry after a full cycle. Sometimes they would dry just fine, but then there would be a load which would come out still wet. This is where YouTube and the internet becomes your friend. It can be as simple as typing in the search terms “gas dryer clothes won’t dry” and finding plenty of sites ready to help you troubleshoot and identify your problem, as well as show you how to fix it. How cool is that? The best part is you’ll be able to gauge whether it’s a repair you’re up for doing yourself. But don’t be afraid – parts in appliances like dryers and washers can be really simple to replace. After going through some troubleshooting, I was able to determine the flame sensor was failing. I found a nice walk-through on the internet to test the sensor using a multimeter. It was really simple – by connecting the multimeter to connections on the sensor I was able to determine there was no continuity, causing the sensor to fail. Once I knew what the issue was and the part I needed, I went to Appliance Parts Pros. I like this site because their prices are reasonable and they have a 365 day return policy which really came in handy when we mistakenly ordered the wrong part for our refrigerator’s water dispenser. Using my dryer’s model and serial number I found the part number I needed pretty quickly. It may be a good idea to drop the part number in Amazon as well to compare prices. While Appliance Parts Pros has been cheaper on most parts I’ve ordered, it isn’t always. After I received the part it literally took me 20 minutes to take the dryer apart and replace the flame sensor. Right away, the dryer started working as it should which was a huge relief since we weren’t keen on the idea of having to buy a new one. Plus it felt great to get things working again without spending hundreds of dollars. As we approach Valentine’s Day it occurs to me I went a little overboard – it looks like cupid threw up in our place! I’ve never had many Valentine’s Day decorations in the past, but between subscribing to some new YouTube channels where I was absorbing nothing but decor ideas, and Target really upping their game in the One Spot this year, I went a little nuts. Plus, if you like Dollar Tree like I do, well, it’s a recipe for disaster. You think “well, it’s only $1” until you find yourself buying 25 items in one trip, whoops! Also, I shot myself in the foot in terms of picking up any cute pieces next year, or for many years to come, since I already have too much. Lesson learned! My problem is I struggle between wanting to live a more minimalist lifestyle (not to any extreme, mind you, as I just cannot do it) and enjoying switching up our home decor for holidays or as the seasons change. The issue with the latter is that you need to find places to store the stuff you’re not currently using. Luckily, I think I can still fit everything into the single storage bin I’ve designated for the holiday since there isn’t much room left in the garage to park both cars if we add any more bins. We’re pretty proud of the fact that, unlike a vast majority of our neighbors, we’re able to fit both cars in our garage even while maximizing our storage area along the perimeter. I will admit, however, it was tough during Christmas to get everything back into their original totes since we had purchased some new decor. Once it warms up I plan to pull everything out and reorganize it better since instead of keeping to a theme I just started shoving stuff wherever it would fit. It was just too cold in the garage to care at that point. In any case, I realized that Christmas kicked off this spend fest in me and I need to reign it in. While I wasn’t spending much each trip, I was going out every Monday to check out the thrift store, Dollar Tree, etc. I love buying second hand clothes and have no plans to stop entirely, but I need to reduce how often I go. Not only do small amounts still add up, but I was coming across the same clothing I saw a week before. Clearly that means I’m visiting far too often! Another clue I was shopping too much/often – every weekend I had something I was returning to one store or another. Sometimes I wasn’t in the mood to try it on right then so I took it home knowing I could return it later. On the plus side, at least I wasn’t keeping stuff I knew I’d never wear. But still, I shouldn’t always have something in the home that needs to be returned either. One of the changes I made to combat this spending problem is that I’ve stopped watching as many “shop with me” or “decorate with me” videos on YouTube. I thought I was living vicariously through others, but what I was doing was being influenced to shop more often when I saw a cute idea. Apparently I’m more impressionable than I thought. I think we all are, whether we care to admit it or not. Another change I made was not visiting departments I think I just want to browse in since there’s a chance I’ll spot something I want to buy. That means skipping the One Spot and seasonal sections in Target and the clothing section in every store. My final change? Staying home today instead of going out to shop. This ties into reducing what I watch on YouTube since that was the catalyst for my desire to shop. There are plenty of other things I can do to occupy my time instead, like play with the dog, read a library book, or finally get around to checking out the adult coloring book and gel pens my thoughtful husband gave me for Christmas. Oh, and I almost forgot – watching The Puppy Bowl which I recorded yesterday! While I only just implemented this change a few days ago, I’m proud to say we only bought groceries this weekend and nothing more. Here’s to sticking with this change. It’s easy to keep up the status quo and much more challenging to change things. How do you stop yourself from over-shopping? Have you heard of Flipp? It’s the best way I’ve found to check all the sales ads without having to manually flip (get it?) through them or visit each retailer’s website. You can do this directly on the Flipp website, or even better, through the app on your phone or tablet. The feature I like the most is being able to search for a particular item and seeing which store has the best price. For instance, if I put in avocado, I can see that Aldi currently has the best price at 49 cents each. I also scored my favorite deli cheese, Lorraine Swiss, for only $4.99/lb at our local grocery store. You can certainly get swiss cheese for cheaper, but this particular one is some of the creamiest I’ve found. It’s normally $6.99/lb so I don’t purchase it often. I’ll wait for a sale but I’d always seem to miss it until I discovered the Flipp app. It’s really help cut our food costs down without sacrificing eating what we like. So it seems as if we’ve abandoned this blog. Sorry about that. It’s been a busy couple of months. We visited Joe’s family in Arizona in November and shortly after returning he got a job!!! We are both relieved that we will have money coming in and better insurance. Our Marketplace plan premiums were due to double in January! Those commercials claiming you can get a plan for $100 a month are lies, don’t apply to Illinois residents, or are the most bare bones plans in existence because we had the lower level ones and were still paying a combined total of nearly $400 per month which was 25% of our income at the time! Plus anything beyond annual exams would be completely out of pocket before a $4000+ deductible was met. This country really needs true health care reform, not this garbage. In any case, I’m back to being primarily responsible for cooking and cleaning so on my first day of “duty” I reorganized our pantry. We all have our different ways of doing things and I didn’t care for Joe’s pantry setup but left it alone since he was using it more than I was. Now that I’m mostly in charge (not 100% since I do work as well, just not full time like he does) I’ve set it up the way I prefer it. Another development is that we came home from Arizona with a dog. A puppy, to be more specific. 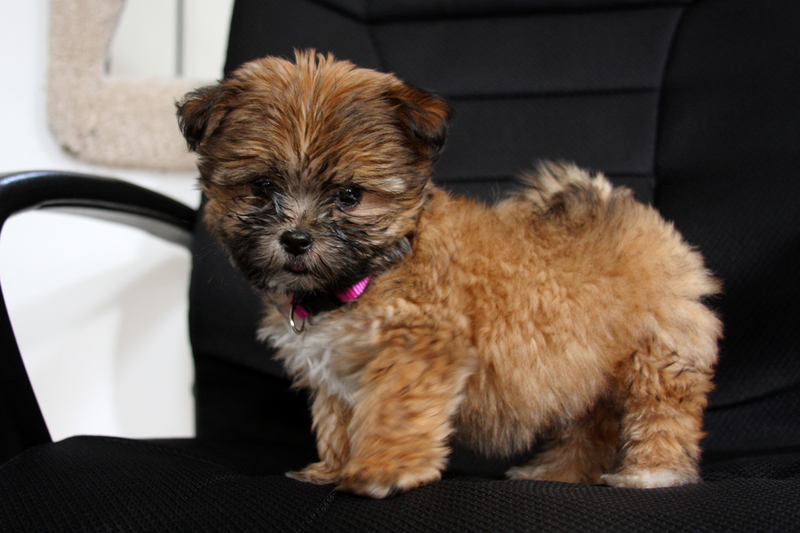 She’s a Shih Tzu mix born on September 21st. Isn’t she the cutest? It wasn’t planned and it definitely wasn’t a wise financial decision since at the time Joe was still unemployed. Yes, even smart, frugal people make poor decisions with their heart and not their heads. We just happened to get lucky and it all worked out. Her name is Wookie and she is quite the handful. We didn’t make our decision to adopt her lightly but we still weren’t prepared for all the work having a puppy brings. Joe had dogs growing up but his parents dealt with them. I didn’t have any pets other than fish growing up so this is all new for me. The first week with her was the hardest and our house was messy and disorganized but we’ve settled into a better routine since then. Joe started his new job on Monday December 12th and flew to Denver for training so I was on my own until that Thursday evening. I work Tuesday through Thursday and had to adjust my lunch break from a half hour to an hour so I could feed Wookie at noon. I work ten minutes from home but even so between the drive and dealing with her I’m lucky to get 15 minutes to scarf down my own lunch. Then when I’d get home from work she’d be understandably starved for attention so I couldn’t get much done outside of playing with her. Needless to say, last week was pretty stressful for me. I’m sure as she matures things will get better but this whole experience has underscored two things for me – 1) I’m selfish with my time and 2) I totally made the right call when I decided I didn’t want to have kids. How people have kids, pets, and a job while still staying sane is a mystery to me. Christmas means family, friends, giving, and the whole holiday cheer… yada yada yada. But the best part of this time of the year for frugal people like me are all the good deals just ready for the taking. Our first round of good deals includes gift cards. Quick warning: most of these places are Chicago area only. But I’m willing to bet there are plenty of places in your neck of the woods which have similar deals if you keep an eye out. 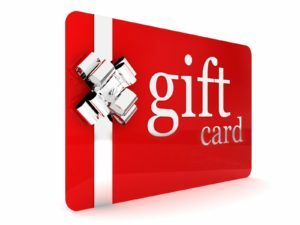 There’s a couple of places in particular where we like to get gift cards because of the added bonus they give you for purchasing one. Lou Malnati’s – Lou’s is the, yes *THE* best deep dish pizza in the Chicago area. Side note: try deep dish, sausage, butter crust, with extra sauce on the side. Freakin’ sublime! Every Christmas they offer a deal where if you purchase a $100 gift card, you’ll also receive a $25 bonus certificate. We don’t order from Lou’s a ton, so it’s not unusual for the $100 and the bonus to last the entire year and then some. The bonus certificate has to be redeemed by June of the following year. Great deal! Culver’s – If you have a Culver’s in your area, I’m betting you’ve been there already. Their burgers are in my Top 3 burger joints. And as an ice cream fiend, their frozen custard is great, especially when you add sprinkles. Anyway, they have a heck of a deal around Christmas. Purchase a $25 gift card and you’ll get a coupon for a free value meal (needs to be used by the end of February). We’ve redeemed the coupons for value baskets that are worth $8-$10. For a $25 gift card purchase, this bonus is something else! Savers – Savers is a resale store ala Goodwill. I really like Savers. They have special discount days pretty often where they offer an additional 50% off regular prices. During Christmas they offer up a bonus for purchasing a gift card. If you buy a $25 gift card, they’ll give you a $5 bonus certificate. $30 goes a long way at a resale shop. Bulldog Ale House – Bulldog is a local bar/grill that has some really good daily deals. Our fave is Sundays because they have boneless wings for just $.39/each. For me though, it’s the Bloody Mary w/beer chaser for $5 and the $4 domestic 32 ounce beer! For their Christmas deal if you purchase a $50 gift card, you’ll receive a $25 bonus. We didn’t make it in time to purchase last year, but we’ll get one this year! Noodles & Company – From November 14th until December 31, 2016 every time you purchase $25 in gift cards, you get a $5 Great Giver Bonus Card (bonus card valid 11/14/16 – 1/16/17). As with any gift card purchase, be sure to learn all the details and/or restrictions that go along with the card and any bonuses. It’s not unusual for there to be some restrictions. Know what they are before buying so you’re able to take full advantage of the offer. A couple of weeks ago I met up with a friend for dinner at the mall food court. After dinner we decided to walk around the mall for a bit and found ourselves in a Bath & Body Works. I’ve always liked their products even though I feel they are overpriced. I only purchase them occasionally when I can get a hefty discount. The last time I bought anything was in December 2015 when I placed a fairly large order online for several foaming hand soaps and other assorted items and received a $20 discount. The soaps came out to under $2 each, which to me, while still not cheap, were reasonable compared to the $6.50 sticker price. I’m one of those people who finds pleasure in even the smallest of things so these soaps bring me joy every time I wash my hands. Luckily, I still haven’t gone through all the soaps because I add water to them to make them last longer. That didn’t stop me from wanting some new ones, however, especially when I came across a new scent I really liked (Sparkling Mint Blossom in case you’re curious). I didn’t buy anything, however, because I don’t need any new soaps, I just wanted some. But with Joe still out of work (and our Marketplace insurance doubling in price for 2017 – more on that in another post) I really don’t want to spend any money since we’re short every month as it is (thank goodness for savings). Psychologically speaking it’s been really tough dealing with curbing our non-essential purchases even though when we were both working and could have easily blown money on whatever we wanted I still wouldn’t have purchased that soap anyway just because $3.50 (the current sale price) is still too much for a small bottle of soap. It’s simply the fact that I “can’t” buy what I want verses choosing not to that is starting to get to me. It’s funny how that works. I’m struggling to keep things in perspective but I’m not gonna lie – I will be so much more relaxed when we have enough money coming in again.